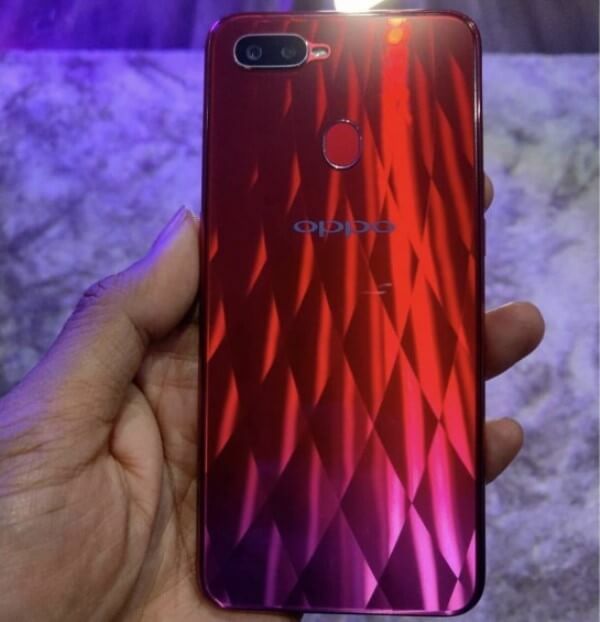 Home News OPPO Rumors Smartphones OPPO F9 to Launch on August 15? F9 Pro Specs Leaked! OPPO F9 to Launch on August 15? 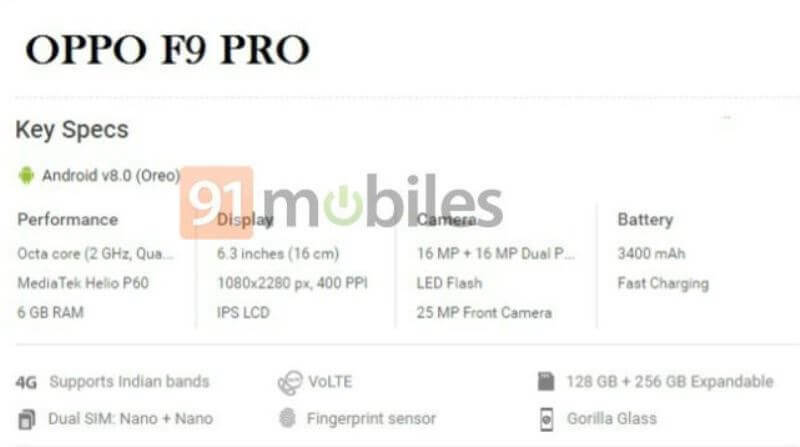 F9 Pro Specs Leaked! OPPO has been teasing us with its various OPPO F9 and OPPO F9 Pro promotional photos posted on its official social media pages. While we now have an idea about the said smartphone series, a new teaser photo has revealed that the brand will officially launch its upcoming F9 line on August 15. 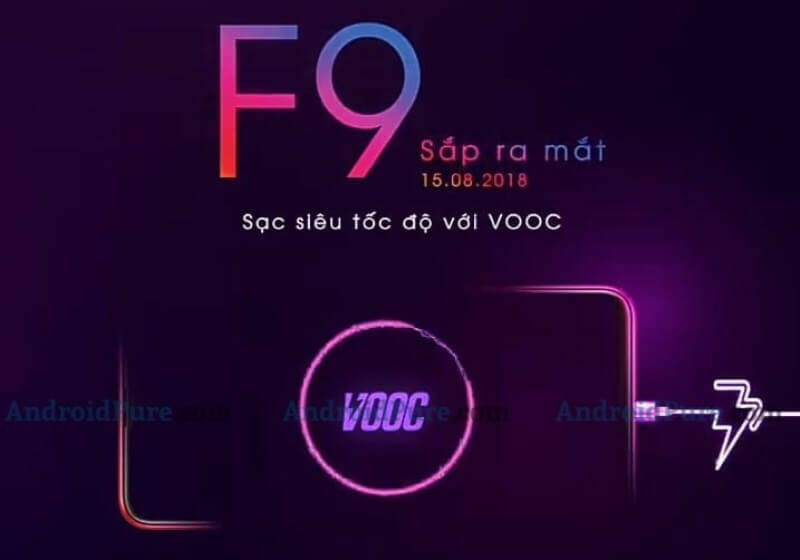 A new teaser by OPPO Vietnam showed that the F9 will be unveiled soon. Moreover, it confirmed that the device also sports the brand’s VOOC fast charging solution, which promises to deliver 2 hours of talk time with just 5 minutes of charging. Other essential specs are still unknown, but we’re pretty sure that the F9 flaunts a “waterdrop” display, boasting a smaller notch than the F7. On a leaked photo, the F9 is seen with its diamond-like pattern while its color changes – just like the gradient variants of the Huawei P20 and Nova 3. Meanwhile, rumors suggest that the F9 Pro will flaunt a 6.3-inch IPS LCD screen with FHD+ 2280 x 1080 display. Having a triangular notch on top of its panel, the device is said to offer a 19.5:9 screen aspect ratio with a screen-to-body ratio of 90.8 percent. Under the hood, the F9 might still be powered by octa-core MediaTek Helio P60 processor, complemented with 6GB of RAM and 128GB of internal storage, which is expandable up to 256GB via microSD card. Jumping off to its photography department, the F9 line carries a dual rear camera setup, which might be composed of two 16-megapixel sensors. Also, as a selfie-centric device, rumors said that it will sport a 25-megapixel front snapper with A.I. Beautification Technology. If rumors are right, the phone will sport a 3400mAh battery with its VOOC fast charging support. The OPPO F9 Pro is said to launch in India first, while the regular variant will be unveiled in Malaysia, Indonesia, Vietnam, and other countries in Asia. We’re not sure yet about its local availability but we can expect that it will arrive soon in the local shores since OPPO Philippines has been busy teasing us, as well.